DAISY, which stands for Digital Accessible Information System, is a set of standards developed to make written materials such as books more accessible to people with print disabilities. DAISY provides a way to create digital talking books for those who want to hear — and navigate — written material presented in an audible format, according to DAISYpedia, the website of the organization that produces this technology. Many people have print disabilities including blindness, impaired vision, dyslexia or other issues, and DAISY tries to help them overcome those disabilities by allowing them to listen to books and easily navigate talking-book websites. The DAISY Consortium, founded in 1996, is an international organization that develops, maintains, and promotes standards and technologies designed to provide all people with equal access to information. The group developed DAISY for persons who have limitations that make it difficult or impossible to read standard print, including those who are blind or visually impaired, have cognitive dysfunctions such as dyslexia, as well as limited motor skills making it hard to hold a book or turn pages. "DAISY offers versatility by providing navigation that goes well beyond the plain text navigation used in the first electronic books for the blind," says the National Federation of the Blind, the nation's largest advocacy group for vision-impaired people. DAISY comes in a number of forms, but the full audiobook is the simplest. It consists of audio that has been prerecorded either by a human reader or through text-to-speech technology. Digitized words can be quickly transmitted via the Web and accessed on many types of assistive devices. For example, a DAISY audio book can be played on a computer or mobile device using software or a screen reader or on a player such as the Victor Reader Stream. The text can also be enlarged for those with low vision or converted into Braille for embossing (printing) or reading on a refreshable display. The main advantage is that DAISY books have embedded navigation that enables readers to instantly jump to any part of a work—the same way a sighted person can turn to any page. With DAISY, the text is delineated with tags, such as part, chapter, page, and paragraph, and synced with the audio files. Readers can navigate through this hierarchy using the tab key or other player control. Other advantages DAISY books offer include word search, spell check, and the ability to place electronic bookmarks on key passages and navigate back to them on future readings. 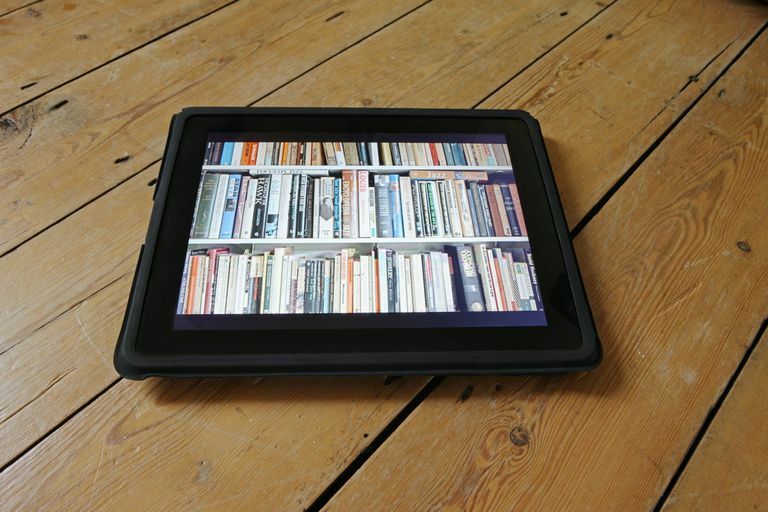 The largest providers of DAISY audio books include Bookshare.org, Learning Ally, and the National Library Service for the Blind and Physically Handicapped (NLS). People with qualifying print disabilities can apply and access books from these sources for free. Readers download BookShare and Learning Ally content via the Web to a computer or mobile device. The NLS provides free digital players and, through its BARD program, makes some books available for download. To comply with copyright laws, Learning Ally and NLS books are encrypted to limit their access to those with documented print disabilities. Read OutLoud Bookshare Edition (free for Bookshare members) for Mac OS and Windows.